Landscaping can add as much as 14% to your home’s value, and that includes any structures erected on your property. If you spend a lot of time in your yard and want to create a place where you can relax, you may want to build a permanent structure. Both pergolas 1 and gazebos are popular, attractive structures that can enhance your landscaping and enjoyment of your yard. We’ll outline the differences between the two below so that you can decide which one will better suit your property. Pergolas 1 were designed as an outdoor structure to define a specific area in the landscaping. For this reason, a pergola 1 is often rectangular with crossbeams and rafters across the top. It may be covered with fabric to create shade, have vines growing on the top, or it can be left open. Pergolas 1 may link two structures or create a shady area with no defined or solid floor. 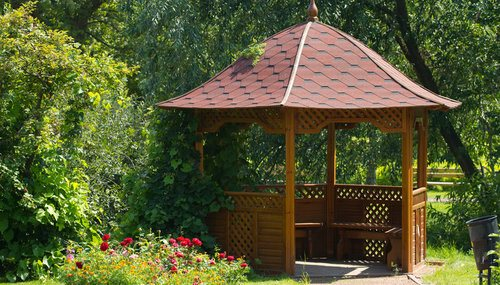 Unlike pergolas 1, gazebos are stand-alone structures that are round or octagonal. Gazebos have a closed roof and floor and may be open on the sides or have walls with windows. 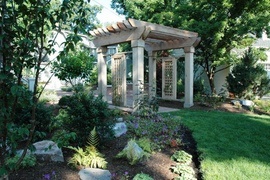 They’re often decorative and elaborate in style, while a pergola 1 is usually plain. The reason for a pergola 1 is to define a space within the yard. Many people will also enclose the top with either vines or fabric to create a shady area either to walk through or to sit in, but they don’t offer protection from wind or rain because they are open on all four sides. Gazebos are made for gathering, either for dining or relaxation. When built on a larger scale, they can also be used as a stage to accommodate a band or outdoor performance. Pergolas 1 are sometimes used to connect two buildings and offer a walkway. They may also create an archway or path through a garden to produce some degree of shade. Because gazebos are larger structures, they leave less usable ground space but offer more interior use. At its simplest, a pergola 1 is four poles with crossbeams and rafters connecting them on the top. The process of building one is simple. Four poles are sunk into the ground and connected with crossbeams. Rafters are notched across the beams horizontally. Even the most basic gazebo will have a more defined structure and space with a finished floor and roof. 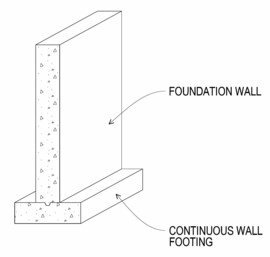 The floor requires building a raised structure to keep it off the ground. Walls or beams will be erected to support the roof, which will cover the entire platform and usually has a round shape. Therefore, a pergola 1 is going to be easier and less expensive to build. Pergolas 1 can sometimes be erected by DIY homeowners, but more elaborate versions may require a professional. Unless purchasing a ready-made kit, a gazebo requires professional installation. The cost of your new structure is dependent on several factors, including the materials you use, size of the structure, and what type of extras you choose, such as screening or electricity for your gazebo. Both projects require a carpenter at around $70 an hour to build. The concrete footings 2 for the pergola 1 will cost around $75 a cubic yard. 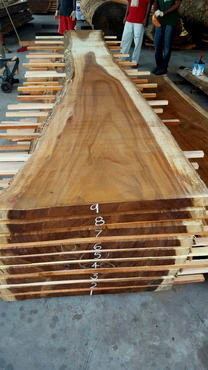 Most people use cedar or redwood 3 for their pergola 1, but less expensive woods can also be used. 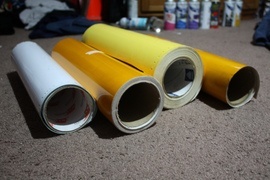 Materials will be at least 50% of the cost at about $1,500 to $3,000. The total cost will be between $3,000 and $6,000 for a 9-foot pergola 1, but many people pay about $3,100. Gazebos constructed of wood are usually the most cost effective, although it is possible to find vinyl 4 gazebos or kits. The highest percentage of the cost comes from the labor, with the average 9-foot gazebo costing between $5,000 and $10,000. The materials are around $1,500 to $3,000, and the labor makes up the difference. Pergolas 1 can be constructed to be relatively open on top, merely defining the space. They may also have vines trained to grow across them for shade, or people may put a cloth over the top for a temporary cover. It is possible to increase the amount of roof that a pergola 1 has by placing the crossbeams closer together. However, this increases the cost by as much as 50%. Newer designs have lattice on top to offer more shade. Still, this allows a lot of sun to shine through. While pergolas 1 are open and offer little permanent shade, gazebos have a solid roof. This, in turn, provides not only more shade than a pergola 1, but it also blocks more of the elements. Both pergolas 1 and gazebos can be built of many different materials, including wood, wrought iron, vinyl 4, and aluminum. The most common material for both structures, however, is hardwood, which is versatile, durable, and has a traditional appearance. For both pergolas 1 and gazebos, the durability of the structure is directly tied to the construction material. For example, a pergola 1 made of teak or other exotic hardwood 5 will outperform a pine gazebo. However, a vinyl 4 or aluminum gazebo will last twice as long as one constructed of wood. Both structures can be built from different materials that can increase their lifespan. Vinyl 4 is the longest-lasting material, while softwoods require the most maintenance and last the least amount of time. However, if both structures are built from the same material, gazebos may ultimately be more durable. This is because they require significantly more material in their building, which can enhance their strength and longevity. A pergola 1 built out of hardwood will last approximately 5 to 10 years before needing significant repair, while a gazebo can easily last twice as long before requiring major repairs. Pergolas 1 are completely open structures, which means that they offer no protection from the elements. Pergolas 1 are also typically smaller or less substantial than a gazebo. High winds or gale-force rains may cause the structure to warp over time. Gazebos are small buildings. They have a roof, floor, and often walls that not only strengthen the structure but offer protection from the elements. Gazebos are often screened or have the ability to be closed off from the outdoors, which can protect those inside from insects. Pergolas 1 are open structures, and therefore do not offer protection from bugs. Both pergolas 1 and gazebos are considered part of your landscaping, and both structures will add value to your home. If combined with a backyard patio, you may recoup as much as 55% of the cost. 1 Pergolas: An arched structure with an open roof and cross rafters, supported by posts or columns, typically installed in a garden, park, or backyard and usually covered with climbing plants or vines. How much does it cost to build a pergola or a gazebo in my city? Cost to build a pergola or a gazebo varies greatly by region (and even by zip code). To get free estimates from local contractors, please indicate yours.